Since 1999 our company has offered custom made Amish triangle tables in a wide variety of styles including Victorian triangle tables, lodge triangle tables, rustic triangle tables, Windsor triangle tables, Queen Anne triangle tables, French triangle tables, country French triangle tables, French Provincial triangle tables, mission triangle tables, shaker triangle tables, country triangle tables, arts & crafts triangle tables, craftsmen triangle tables, early American triangle tables, Georgian triangle tables, Louis Philippe triangle tables, colonial triangle tables, Tuscan triangle tables, Spanish triangle tables, western triangle tables, loft triangle tables, formal triangle tables, small triangle tables, contemporary triangle tables, even modern triangle tables. We also carry Victorian wedge tables, lodge wedge tables, rustic wedge tables, Windsor wedge tables, Queen Anne wedge tables, French wedge tables, country French wedge tables, French Provincial wedge tables, mission wedge tables, shaker wedge tables, country wedge tables, arts & crafts wedge tables, craftsmen wedge tables, early American wedge tables, Georgian wedge tables, Louis Philippe wedge tables, colonial wedge tables, Tuscan wedge tables, Spanish wedge tables, western wedge tables, loft wedge tables, formal wedge tables, small wedge tables, contemporary wedge tables, and modern wedge tables. Wood triangle tables (often referred to as wooden triangle tables) can be handmade from many types of real wood. Oak triangle tables are very popular hardwood triangle tables as are brown maple triangle tables, elm triangle tables, cherry triangle tables, walnut triangle tables, maple triangle tables, hickory triangle tables, quartersawn oak triangle tables, and rustic cherry triangle tables. 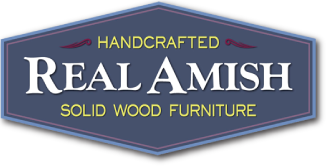 Real Amish carries a wide array of oak wedge tables, brown maple wedge tables, elm wedge tables, cherry wedge tables, walnut wedge tables, maple wedge tables, hickory wedge tables, quartersawn oak wedge tables, and rustic cherry wedge tables.